BlackRock Has Opened the Door to Progress. But Will it Take the Next Step? Its points were similar to the firm’s long-standing proxy voting guidelines on company political spending, but gave them a prominence at a moment when the issue was taking on a higher profile. A year ago, CPA trained a spotlight on BlackRock CEO Laurence D. Fink’s annual letter to CEOs with its “bold and clarion call for companies to contribute to society,” as we put it in an op-ed for The Guardian. At the same time, we highlighted the absence of corporate political spending from Fink’s assessment. “Companies may engage in certain political activities, within legal and regulatory limits, in order to influence public policy consistent with the companies’ values and strategies, and thus serve shareholders’ best long-term economic interests. These activities can create risks, including: the potential for allegations of corruption; the potential for reputational issues associated with a candidate, party, or issue; and risks that arise from the complex legal, regulatory, and compliance considerations associated with corporate political activity." “We believe that companies which choose to engage in political activities should develop and maintain robust processes to guide these activities and to mitigate risks, including a level of board oversight." For BlackRock to reiterate the risk posed by corporate political spending, along with the importance of accountability, is a significant development. This is especially the case at a time of fiery political divisions in the United States and public boycotts or backlashes erupting over controversial political donations by certain companies. The world’s largest investor is recognizing the seriousness of issues CPA has long warned about, most recently in our “Collision Course” report. BlackRock now faces a golden opportunity. The corporate political disclosure movement led by CPA and its investor partners has resulted in a record 56 resolutions before companies this proxy season, and a significant number will come up for actual votes. Will BlackRock match its rhetoric with action? General Electric has agreed to significantly expand the transparency of its election-related spending. 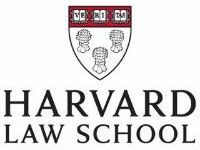 It marked “a high-profile victory for the Center for Political Accountability,” the Boston Globe reported, and news of the high-profile agreement also was reported by Dow Jones and by Agenda, a service of the Financial Times. 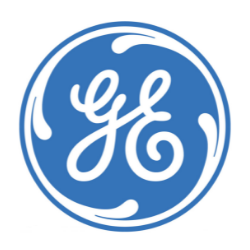 The agreement was the result of Seattle-based Investor Voice’s engagement of GE. The agreement would not have happened without the longstanding leadership of New York State Comptroller Tom DiNapoli and the New York State Common Retirement Fund. They have been in the forefront of achieving corporate political disclosure. CPA announced two new directors, Rona Peligal and Daniel Simon. “The Center is fortunate to expand the board’s depth and breadth as it broadens its focus on the risks companies face from political spending that conflicts with their core values and positions,” president Bruce Freed said. Peligal is the Vice President for Development and Communications at the Fund for Global Human Rights. Prior to joining the Fund, she served as Vice President for Development at American Jewish World Service and had worked at Human Rights Watch. Simon is the Senior Advisor on issues involving money in politics, for Voices for Progress. He has consulted with numerous organizations and elected representatives on campaign finance reform, focusing on public campaign financing and disclosure of political expenditures, and is a member of NY LEAD, a bipartisan group supporting campaign finance reform in New York State. Starting next week, all 2017 corporate spending data will be available on TrackYourCompany.org, CPA’s comprehensive database on corporate political spending. CPA anticipates all 2018 data will be included by the end of the second quarter. TrackYourCompany.org is the only database providing a broad picture of the corporate political spending of the S&P 500 companies, shining a light on hundreds of millions of dollars in previously hidden money given by companies to trade associations, 527 political committees and “social welfare” organizations, also known as 501(c)(4)s.
Newsletter subscribers will be notified next week when the 2017 data is live. “State utility regulators are taking aim at the tens of millions of dollars that Michigan energy companies have donated to not-for-profit organizations that influence state political campaigns. “Consumers Energy Co. has agreed to a ban on donating corporate cash to ‘issue advocacy’ organizations — often called 'dark money groups.' Consumers has given more than $40 million to one such organization. “The agreement, buried in a Michigan Public Service Commission electric rate-setting settlement issued last week, prohibits Consumers from donating money to 501(c)(4) nonprofits and 527 political organizations that engage in issue advocacy campaign advertising that stops short of outright supporting or opposing candidates. "’Consumers Energy agrees that it will not contribute any of its corporate treasury monies to an Internal Revenue Code 501(c)(4) entity or an Internal Revenue Code 527 entity during the period of time in which the rates established in this settlement agreement are in effect,’ the MPSC decision said. “The prohibition is effective for the rest of 2019, expiring on Jan. 1, 2020. But the ban could remain in place through the November 2020 election because the state's utility regulators have 10 months to decide a future electricity rate-setting case. A massive election reform package championed by the new Democratic House majority, HR 1, would remove a congressionally imposed ban that has blocked the Securities and Exchange Commission from requiring publicly traded companies to disclose their political spending. A Bloomberg Law article about the measure quoted CPA. 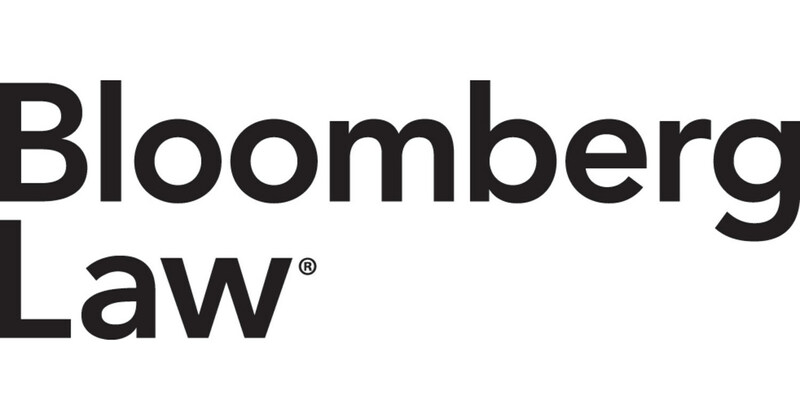 CPA’s Freed told Bloomberg Law that “companies that haven’t adopted accountability and disclosure policies are seen as outliers today.” Nonetheless, Freed said a reporting rule is needed to make the disclosures “uniform” and “universal.” Bloomberg Law also mentioned findings of the 2018 CPA-Zicklin Index of Corporate Political Disclosure and Accountability. CPA is a non-profit, non-partisan organization created in November 2003 to bring transparency and accountability to political spending. To learn more about the Center for Political Accountability visit www.politicalaccountability.net. Copyright © 2019 Center for Political Accountability, All rights reserved.